This past winter I received an email from one of the founders of Talking Tackle depth Whisperer. This led to our talking by phone and my hearing again a not too uncommon story about the potential benefits of having a talking depth sounder aboard a boat. These guys decided enough talk, and did something about it. The product they invented is one of the best examples of audio technology being applied to a fish finder that I’ve come across in the past eight years. The voice is pleasant, the controls are simple to understand, and the technology is relatively easy to install. 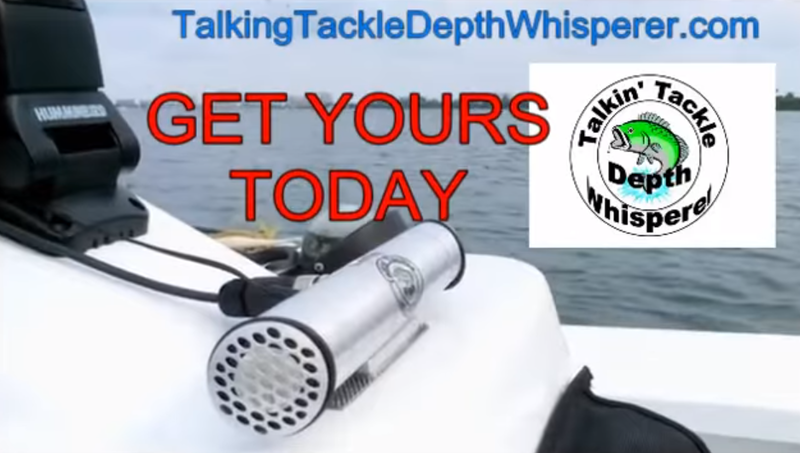 I now use the talker on my HobieCat, Porta-Boat and Ranger fisherman and love it. The nice thing is, so do my fishing buddies. Yes, you read correctly, this device will even tell you if your cranking battery is starting to run low – how cool is that. For more information about this technology I strongly suggest you visit their website where you can see and hear it function for yourself.